HILLSDALE, N.J. -- A pair of thefts captured on surveillance video of Donald Trump campaign signs being swiped from lawns in Hillsdale have been resolved, police told Daily Voice Wednesday night. One of those sought was a local runner who confessed Wednesday to being the daytime thief shortly after Daily Voice published the video of her taking a sign. The homeowners refused to press charges, however, and the case was dropped, borough Detective Bill Diedtrich told Daily Voice. The second suspect, a 15-year-old girl, admitted that she was the masked culprit who struck at night at a house directly across the street, sources confirmed. A parent accompanied her to headquarters Wednesday afternoon. New Jersey law and Attorney General guidelines clearly prevent police from releasing details of her case. That left Diedtrich able to say on that "the situation has been resolved" with no further action necessary, without being able to elaborate in any way. A directive issued by the state Attorney General's Office in 2006 allows for what are known as "stationhouse adjustments,” under which otherwise-law-abiding children who commit minor offenses can have their situations resolved by local police. Juveniles could be referred for services or required to make restitution, with the promise that they won't cause any more trouble. Diedtrich said he couldn't confirm whether that's what happened in this case, however. "Because it involves a juvenile, so we are prohibited from releasing any further information," he explained. 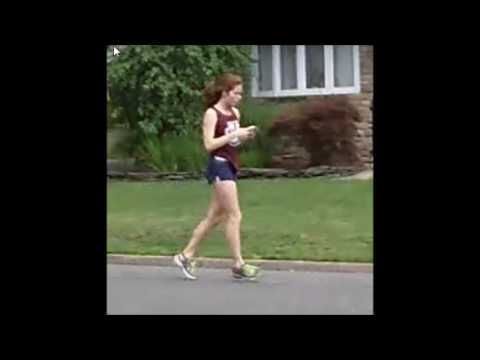 The first suspect went to police shortly after Daily Voice on Wednesday morning published the video, which shows her stealing a sign while out for a run. "She contacted us after seeing the video and admitted taking a sign from the neighbor's house," Diedtrich said. "The neighbors hadn't reported the theft. They also didn't want to press charges." Anthony Sgroi, who lives across the street, submitted raw footage of that incident, along with another in which the 15-year-old snatches one of his signs at night. "You do not have to believe in what I believe in or support who I support," said Sgroi, who is a law enforcement officer elsewhere, "but this is theft!" There had been no other reported thefts of campaign signs, said Diedtrich, the Hillsdale detective.